Hubei, a province in Central China, carries the popular name of "Chu", after the powerful state of Chu that existed here during the Eastern Zhou dynasty. A long and splendid history gives the province abundant cultural attractions, including Yellow Crane Tower, Jingzhou City Wall, Xianling Mausoleum of the Ming Dynasty and the Ancient Building Complex in the Wudang Mountains. The central and eastern parts of Hubei comprise the Jianghan Plain while the western periphery is more mountainous. Hubei is famous for its varied agricultural products as well as spectacular natural attractions such as Shennongjia Scenic Area, Xianning Hot Spring and Enshi Grand Canyon. 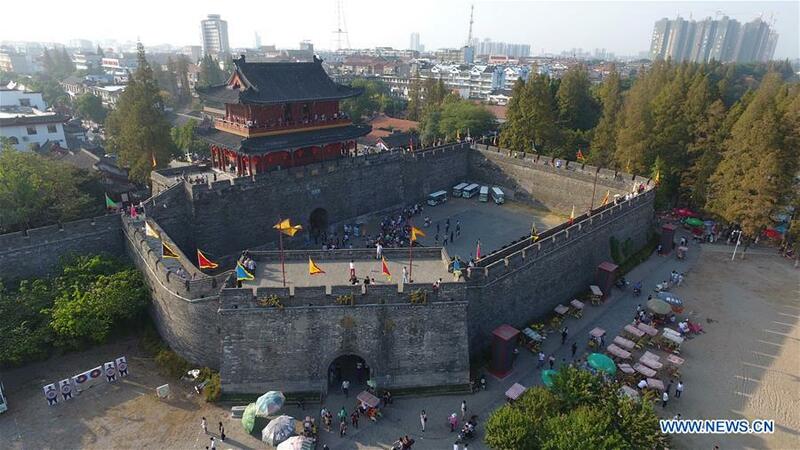 Located in Jingzhou City, the Jingzhou City Wall has over 2000 years of history. First established in the East Han Dynasty (25 AD - 220 AD), it has been damaged and repaired multiple times during the Song, Yuan, and Ming dynasties. The current wall was built in the third year of Shunzhi Reign (1646) of the Qing Dynasty (1644 - 1911). The wall has three parts: inner earth city, middle brick city and outer water city. It is 9 meters in height and 10 meters thick. The perimeter of the wall is 11.03 kilometers. 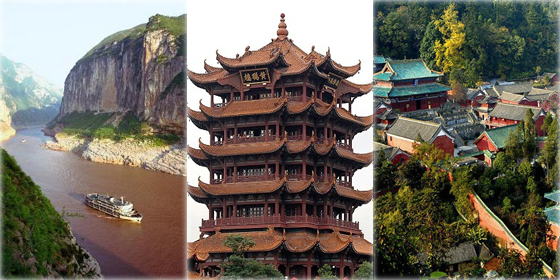 Hubei, a province in Central China, boasts a large amount of famous attractions, including the Yellow Crane Tower, the Three Gorges, Wudang Mountain and Shennongjia Scenic Area.